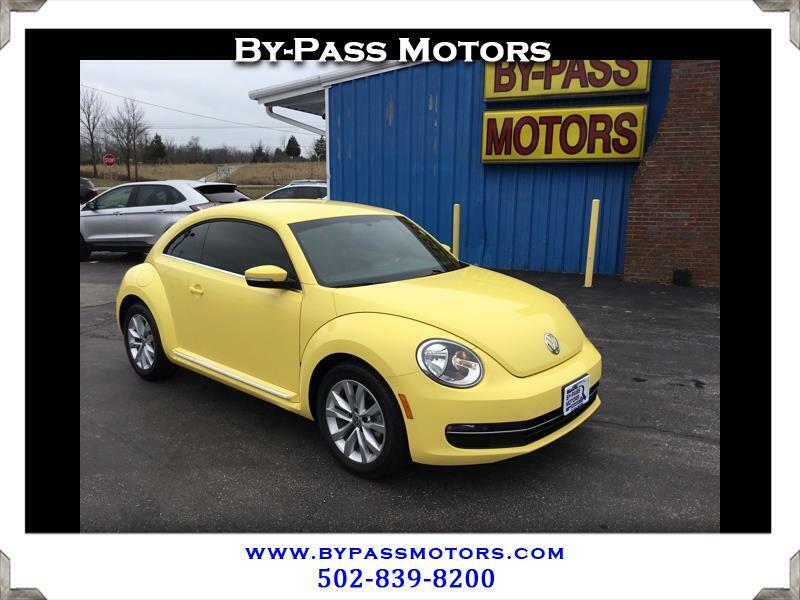 Used 2014 Volkswagen Beetle 2.0T Turbo for Sale in Lawrenceburg KY 40342 By-Pass Motors, Inc.
ONE OWNER Beetle TDI with maintenance history and a clean Carfax Report. This VW is as nice as they come with a super clean interior and bright yellow paint that shines like new. We have fully serviced this Beetle to insure that it needs nothing, but you in the drivers seat. Equipped with a Turbo Diesel motor that not only gets excellent fuel economy, but has been proven to last forever!!! This is the right VW Beetle if you are in the market for one. We have been in business since 1989 with an A+ rating with the BBB!! !